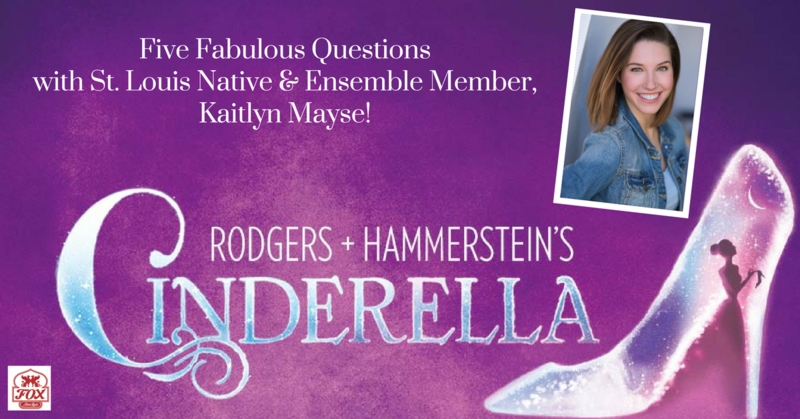 Be transported back to your childhood as you rediscover some of your favorite moments from Rodgers + Hammerstein’s Cinderella! This lush production features an incredible orchestra, jaw-dropping transformations and all the moments you love—the pumpkin, the glass slipper, the masked ball and more—plus some surprising new twists. Cinderella is playing at the Fabulous Fox December 27 - 31. Have you performed in St. Louis before? If yes, where and what show were you in? Most recently, I played Belle in Disney’s Beauty and the Beast with Variety St. Louis at the Touhill. When I was younger, I performed at Opera Theatre of St. Louis, Union Avenue Opera, and The Muny as well as with The Muny Kids. I also performed in youth productions with COCA and Shooting Star Productions, as well as at my high school, Parkway North. The first show I saw on Broadway was the revival of West Side Story when I went to New York City with Parkway North’s Choir in 2009. When did you know you wanted to perform for a living? I think, somehow, I’ve always known that I wanted to perform for a living. I have been so in love with singing, dancing, and acting since I was in preschool, and I just kept doing what I loved and honing my skills until a career in the arts just seemed silly not to pursue. What is the biggest challenge performing in this show? My biggest challenge in Cinderella is training to keep up my stamina in order to sing during and after long dance breaks. What advice do you have for aspiring performers? My advice for aspiring performers is to keep going, keep practicing, keep auditioning, keep believing in yourself. Everyone’s journey is different, and you will find your time and place. What are you most looking forward to seeing in St. Louis? I can’t wait to see my family and friends and to see The Fox stage from the reverse side!